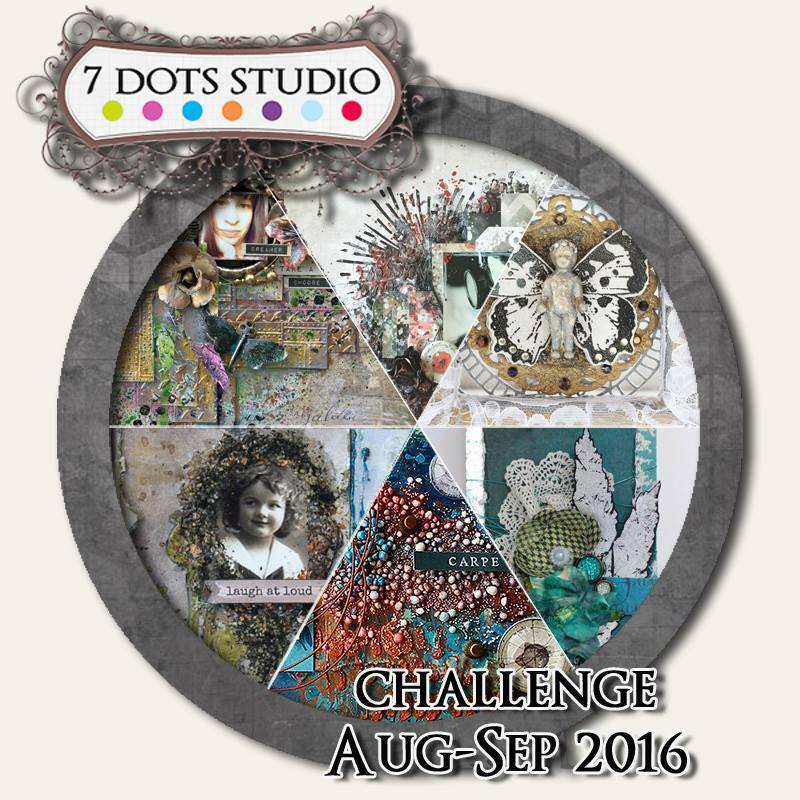 This months challenge at 7 Dots Studio is all about Metallic colors and textures. Metallic really is a great topic for a challenge. The possibilities of interpretation is endless, I mean – metallic can be so much, and used in so many different way. I wanted to make a really shiny but yet classy project. I came up with the idea of stamping on a tag with a script stamp from the Soulmates Collection. By using Flitter Glue & Mega Flakes I got a cool metallic effect. I used the same technique when stamping the feathers from the Fortune Teller stamp set. Then I layered paper scraps and die cuts from Fortune Teller togheter with a piece of old lace and flowers. A word sticker tie everything together. I´m really happy with the result. I think the tag both looks cool, romantic and shiny. We announce winners by the end of the September. One lucky person will win one Collection Kit and one 6×6 pad! I have used products from 7 Dots Studio, Prima Marketing and IndigoBlu.